| Michigan Corn Growers Assoc. Visit www.dsireusa.org for information on state, local, and federal incentives that promote renewable energy and energy efficiency. Please select your state or territory for a list of current dealers. For more information on the nearest Fahrenheit Technologies dealer, call 616.392.7410 or fill out the Contact Us Form. Interested in becoming a Fahrenheit Technologies dealer? Fill out the form below. 4228 SW Frank Ross Rd. Interested dealers can call 616.392.7410, or fill out the form below. Internet Search - What keyword(s) did you use? 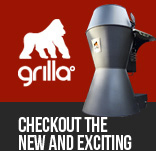 Searching for the corn furnace, pellet furnace or biomass furnace? The Vesta Award winning Endurance 50F Biomass Furnace is an alternative fuel furnace for home heating. Endurance produces more usable heat, makes maximum energy use of 50,000 Btu’s. Endurance burns renewable fuels including shelled corn, wood pellets, grain pellets, dried cherry pits and other biomass materials. Cyclean Technology and Thuroheat chambers makes home heating easy and affordable. Endurance corn furnace and pellet furnace can be purchased through home heating dealers in North America and Canada.